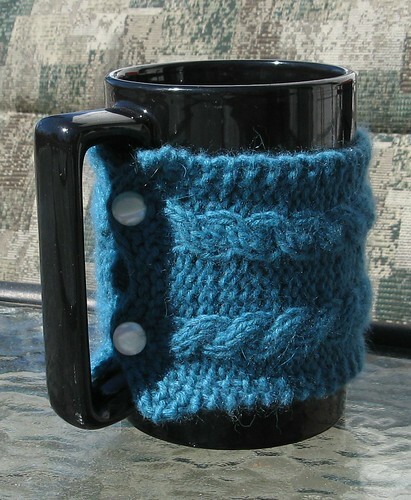 Announcing my two latest patterns: Twins and Entwined, two cabled mug cozies! Both are available FREE on Ravelry, so go download a copy today. 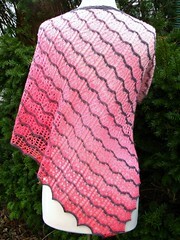 I designed this pair of patterns for my upcoming “Intro to Cabling” class at the Hub Mills Store. The class is two hours long and costs $20. I’m offering it twice in the near future, on Saturday, April 21st, and Saturday, May 19th, from 10AM – noon. 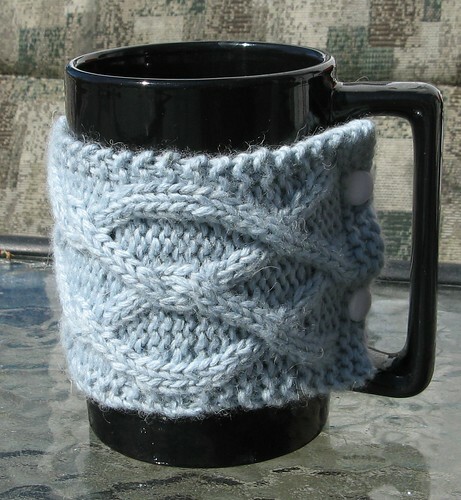 “Twins” is the simpler of the two patterns, intended for the knitter who is totally new to cables. “Entwined” is a bit more complex (though not as much as you might think! ), meant for a knitter who has done a bit of cabling before, or an adventurous novice. If you’d like to take my class, call (978) 408-2176 or email yarn@hubmillsstore.com to reserve a seat. Both cozies take less than 50 yards of worsted-weight yarn, plus two buttons, and can be finished in a single day. Both are also appropriate for learning how to cable without a cable needle — something I will also teach in class, because I think it makes cabling SO much quicker and easier.